DR-16AM: 16 Buttons Audio Intercom Panel. Door Entrance Unit. COMMAX Door Station compatible with various systems provides you better efficiency to the system and guarantee more secure an comfortable life. Function: Call residential station for up to 16 residential stations/ name card. 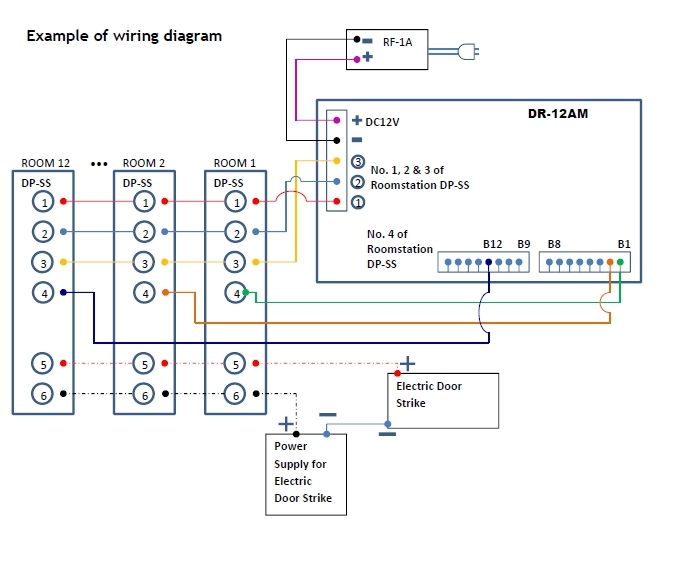 Wiring: Common 3 wires, Individual 1 wire per Unit. Product for multiple house/apartment intercom system. Click the button below to add the COMMAX 16-Apartment Audio Intercom Set DR-16AM x1/ DP-SS x16/AC ADAPTOR x1 to your wish list.